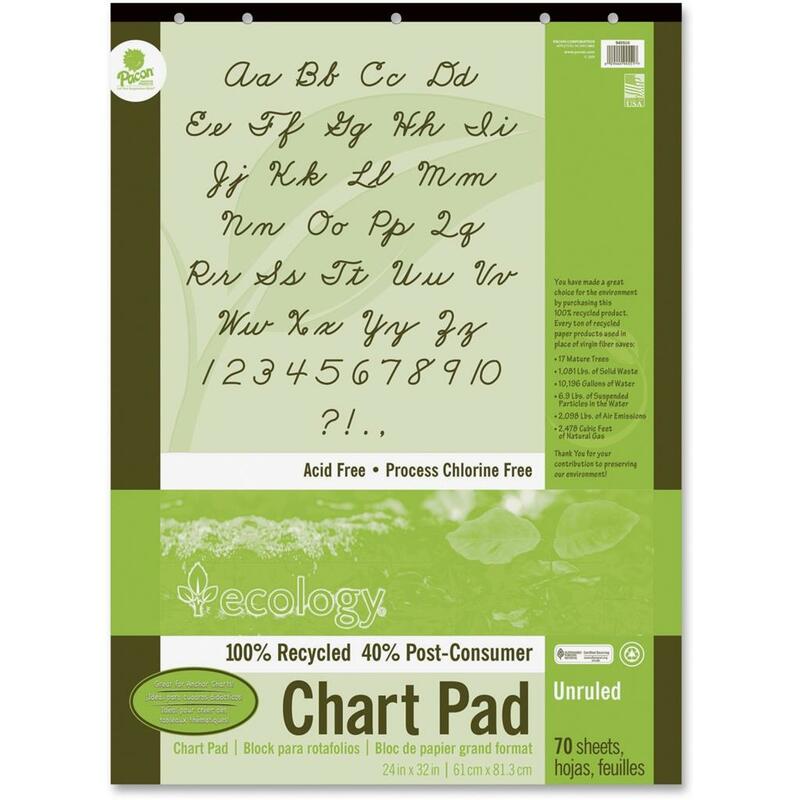 Eco-friendly chart pad is made using a high percentage of recycled material with post-consumer fiber. Unruled, acid-free pages are padded and taped to a heavy chipboard back for writing support. This pad is five-hole drilled to fit Pacon Chart Stands and Easels. 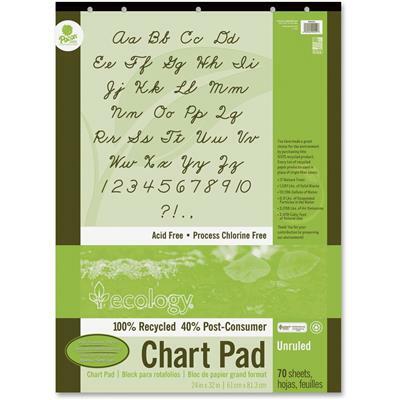 Chart pad is processed chlorine-free and recyclable.